We produce Sign Language Christmas Songs on DVD. 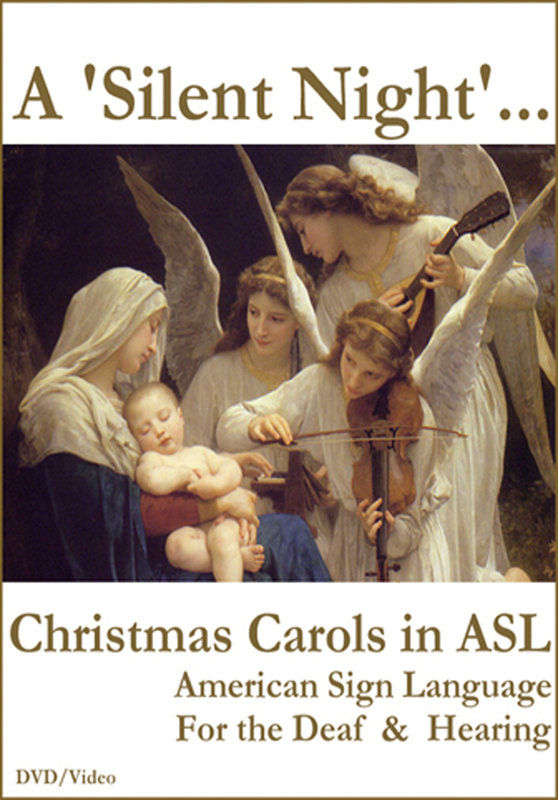 Our Classic Sign Language Christmas Carols DVD makes learning ASL - easy, fun & inspirational. Our DVD Menus allow you to select songs in both Normal Speed or Slow Motion for easier learning - especially for beginners. Our Sign Language Interpreter Team is highly acclaimed, and we have received great reviews by important journals and our customers. We also offer easy to learn Sign Language Songs for Church; Sign Language Songs for Praise and Worship; and Sign Language Patriotic Songs - on easy learning DVDs. "Enjoyment for both Deaf and hearing, this DVD will entertain as well as promote understanding and appreciation of American Sign Language. Familiar Christmas carols performed in ASL provide a wonderful way to experience the eloquence and beauty of Sign Language. 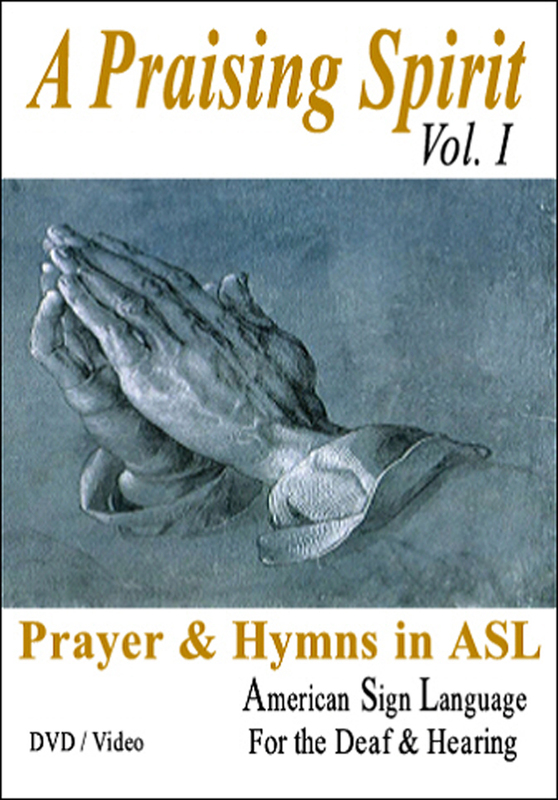 Sure to become an ASL Christmas Classic, A 'Silent Night' contains best-loved carols." Adco Hearing Products, Inc.
�The Patriotic Spirit� DVD is truly another masterpiece! Hayden is beautiful, graceful and so very talented. 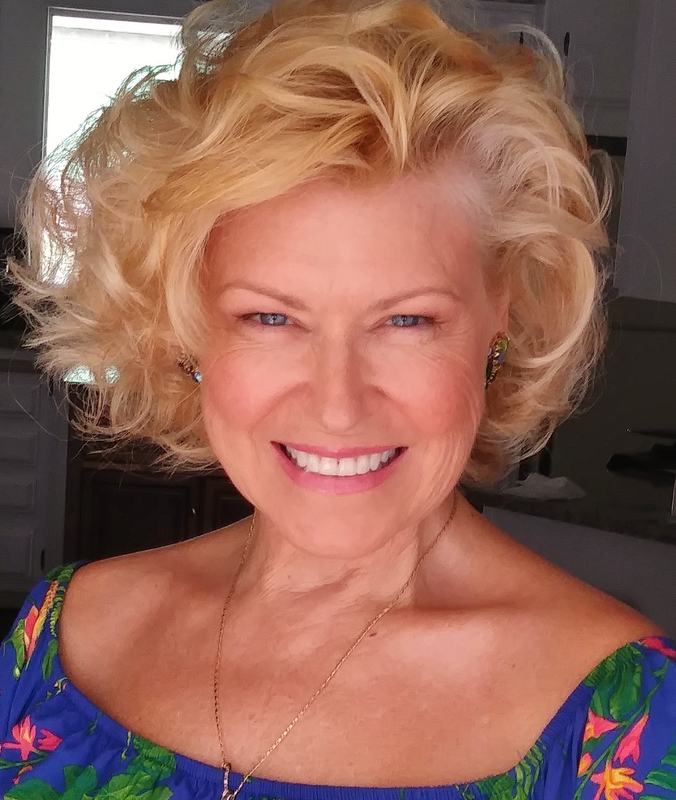 It is a spiritual experience to watch her �sing� the beautiful songs with her soul.� M. Olbinski, Forest Hills, N.Y.
Our DVDS have received the highest recommendation for all U.S. Schools and Public Libraries. We provide Sign Language Songs for Babies | Sign Language Songs for Toddlers | Sign Language Songs for Beginners | Sign Language Songs for Preschool | Sign Language Songs for Kids | Sign Language Songs for Christmas | Sign Language Songs for Kindergarten | Christian Sign Language Songs for Church, Worship & Praising. Read our Customer Reviews below provided by happy customers who purchased our Sign Language Songs for Toddlers, Preschool, Beginners, Kids, Christmas, Church, Worship & Praising. "Break tradition - be creative - instead of wine, flowers, or candy, bring this lovely DVD as a gift to your next Christmas party. Your host will appreciate the holiday entertainment that it will add to the gathering. Share with your friends and family the eloquence of sign and song beautifully performed on this elegant DVD. 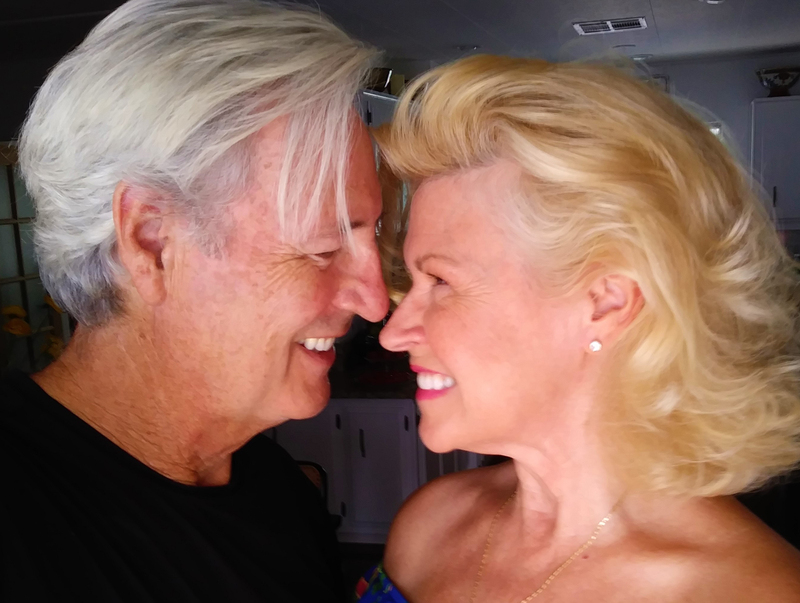 A 'Silent Night"� the DVD is poetry in motion." Return & Refund Policy: All sales are final. However, if a DVD fails to Play, call Customer Care 800-420-1112 within 10 days to request a free replacement. 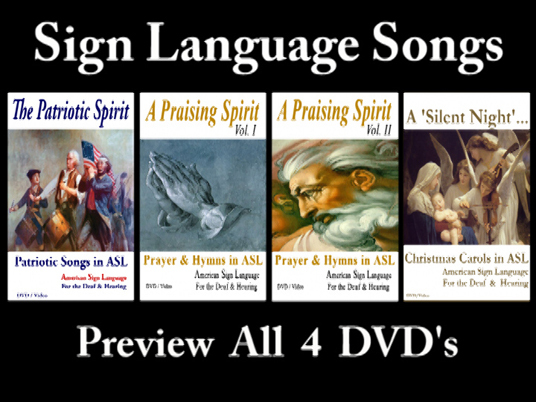 We produce high quality Christian Sign Language Songs for Church, Worship & Praising The Lord, as well as Patriotic Songs in ASL on DVDs. All of our Sign Language Song DVDs have received great reviews. Our Sign Language Interpreter Team is acclaimed through out the deaf community. We offer easy Sign Language Songs for Church, Worship, and Praising; easy Sign Language Songs for Christmas; easy Christian Sign Language Songs for Christian Signing; easy Sign Language Songs for Religious Signs; easy Sign Language Songs for Toddlers; easy Sign Language Songs for Kids; easy Sign Language Songs for children; and easy Sign Language Songs for Kindergarten. 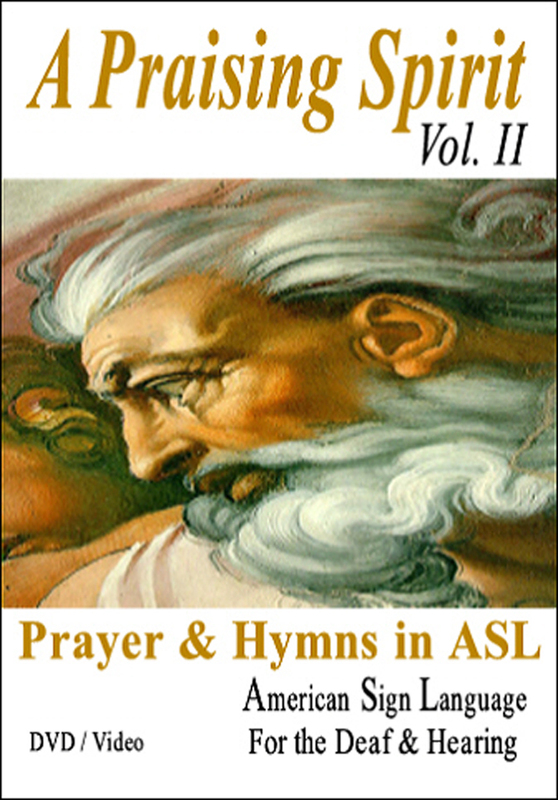 Please preview and order the best Sign Language Songs available here at ASLonDVD.com. 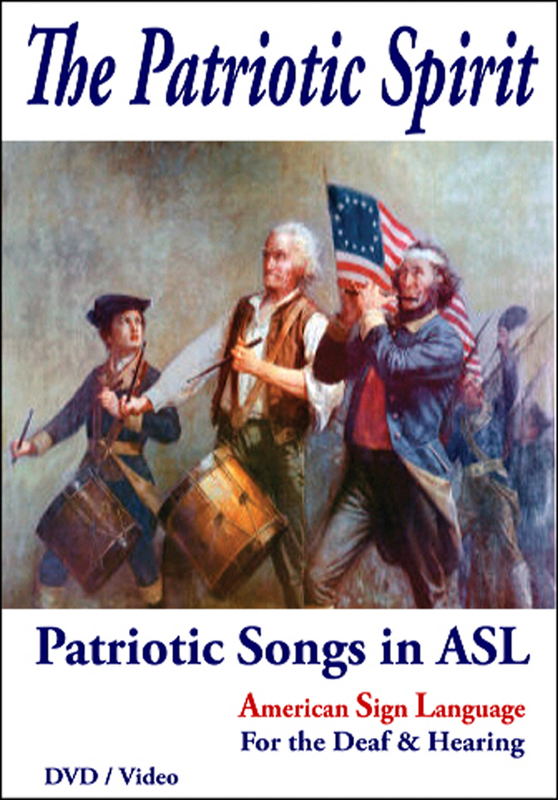 Our Sign Language Song DVDs ship free of charge in the U.S.
Our Acclaimed Patriotic Sign Language Song DVD includes The Star Spangled Banner (The National Anthem) & Pledge Allegiance to the Flag & more.